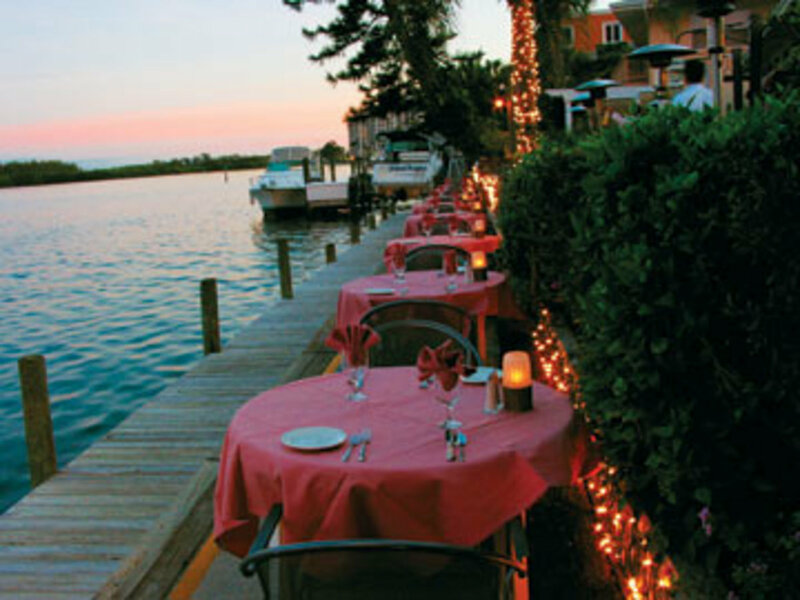 A pink sunset over the mangroves can be spied at Ophelia&apos;s in Saratota. "To the celestial and my soul&apos;s idol, the most beautiful Ophelia." When Shakespeare wrote this line, he must have had a premonition about the enchanting effect Ophelia&apos;s on the Bay has on its diners. This romantic waterfront restaurant on the southern tip of Siesta Key is ready to accommodate boats up to 50 feet at its 100-foot dock. The view and ambience are what make Ophelia&apos;s the number-one choice in dining. 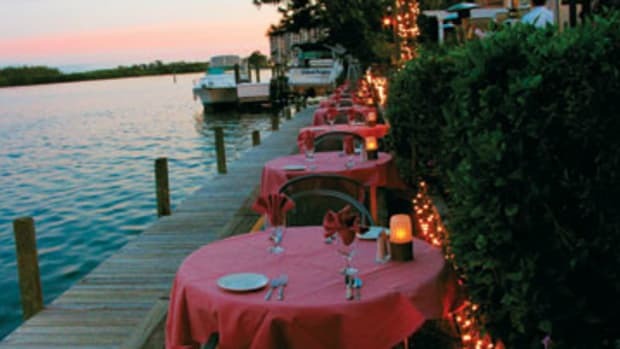 According to owner Stanley Ferro, the exotic feeling is due to being nestled in the shore of Little Sarasota Bay. "We are often visited by manatees [and] dolphins, and with an island bird sanctuary across the bay from us, we often see many different bird species," he explains, adding that they can be spied from one of the two glass-walled dining areas or the dockside patio overlooking the mangrove islands. This year marks Ophelia&apos;s 17th season, and the restaurant has been recently renovated to give it a modern flavor. It is no wonder it continues to win numerous prestigious awards, like an "Extraordinary" rating from Zagat ten years in a row and exceptional reviews in Gourmet and Food & Wine. This is in part due to the culinary genius of chef Daniel Olson, who changes the menu of Continental cuisines nightly, mixing American, Italian, Asian, and local influences. A popular dish enjoyed by die-hard locals, as well as Olson, is the black grouper crusted in coconut and cashew and served with a flavorful papaya jam. He recommends following it with Ophelia&apos;s White Mousse, a dish that would delight any true epicurean.